JCU President Franco Pavoncello was recently interviewed by the Washington Post, as Italy moves closer to forming a coalition government composed of the Five Star Movement and the League, the two parties that received the most votes during the March 4 national elections. 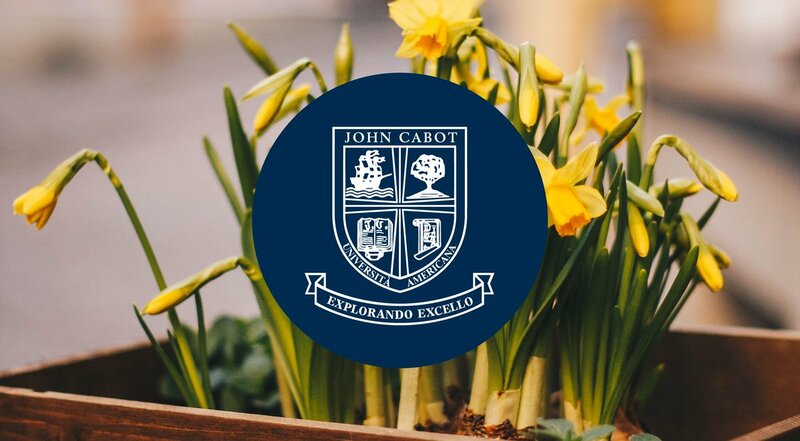 At its recent meeting in New York City, the Board of Trustees of John Cabot University voted to extend President Franco Pavoncello’s mandate until June 2023. On Friday, February 9, 2018 The Guarini Institute for Public Affairs held a panel discussion on the upcoming Italian election, which will take place on March 4th. Among the participants were students, journalists, and diplomats, as well as guests from Georgetown University and the University of Pittsburgh. JCU President Franco Pavoncello was asked by Bloomberg Politics to comment on Italy's electoral reform vote of October 12, 2017. The Italian government won a confidence vote in the Chamber of Deputies on reform of the electoral system, averting the risk of a government crisis and early elections. The Board of Trustees of John Cabot University elected new leadership during its recent fall meeting. The new Chair of the JCU Board is Mr. Salvatore Salibello and the two new Vice Chairs are Dr. Portia Prebys and Mr. Frank Desiderio. JCU is pleased to announce that the Hon. Frank J. Guarini, Chairman of the Board of Trustees, has donated three million dollars to the University. On Thursday, May 25, 2017, John Cabot University welcomed ambassadors and cultural attachés to the Secchia Terrace in the Guarini Campus for the annual Ambassadors’ Lunch. Guests included representatives from Israel, Serbia, Brazil, Morocco, South Korea, and Egypt, among others. On January 15th, Chinese daily Xinhua English News interviewed John Cabot University President Franco Pavoncello on the political situation in Italy a few weeks after President Sergio Mattarella asked Paolo Gentiloni to fill in as prime minister. On Wednesday, November 30, the Guarini Institute for Public Affairs and the International Relations Society presented the panel discussion “An Assessment of the US Elections."